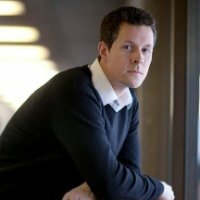 I’ve been helping my daughters with simple math questions to test their logic and problem solving abilities. They know that when I have four objects and take one away that I’m left with three. My oldest daughter knows the same logic applies to bigger numbers, so when I have 400 objects and take away 100, I’m left with 300. It amazes me that simple math concepts that make sense to a 3-year-old and 6-year-old don’t seem as clear to us as adults, especially when it comes to our personal finances. Take credit cards, for example. When choosing a credit card, most people skip annual fee credit cards and look for others like low interest rate cards, cash back credit cards, and travel rewards cards. The best credit card features typically come with fees; however, by paying the annual fee you can often save money and earn more rewards points. Many consumers refuse to pay an annual fee for one, yet still complain that they can only earn rewards of 1% or less on their spending. Simple math can show us the break-even point for when the rewards earned from using an annual fee card outweigh the rewards from a no-fee card. 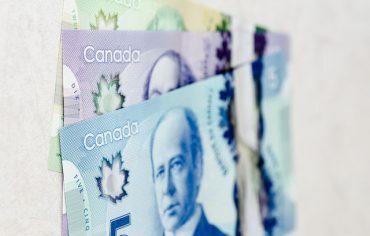 For example, with an annual fee card like the Scotia Momentum Visa Infinite, cardholders can earn 4% cash back on their grocery and gas spending plus 2% cash back on their drug store purchases and recurring bill payments. The card comes with a $99 annual fee (waived in the first year), so skeptical consumers might think they need to spend a lot to make the fee worthwhile. Spending $1,000 per month on the Scotia Momentum Visa Infinite card will earn you $179 per year in cash back, net of fees. Compare that to a no-fee card, like the popular PC Financial MasterCard, where spending $1,000 per month will earn you just $120 worth of PC Points, or the new American Express SimplyCash card, which pays $150 per year on $1,000 spending. Your spending habits determine which card is best. And if your goal is to maximize the rewards earned from everyday spending, you should figure out the categories where you spend the most and match it with a rewards card that offers the best return. That could mean one card for groceries and gas, one for dining and entertainment, and one for travel. Don’t dismiss certain rewards cards just because they come with an annual fee. If you’d like to earn more rewards on your everyday spending then I urge you to do the math and figure out how much you spend every month on your card. I guarantee you’ll find a rewards card (or combination of cards) that better meets your needs. 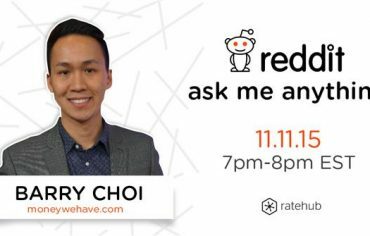 On Wednesday night, MoneyWeHave.com‘s Barry Choi took part in a Reddit AMA as part of Credit Education Week.